For now on I'm gonna do this "Muse of the month" -thing. It means that every month you'll see one -or in this case three, inspirational person to me. I'll talk a little about their style and give you some tips how to get their style. 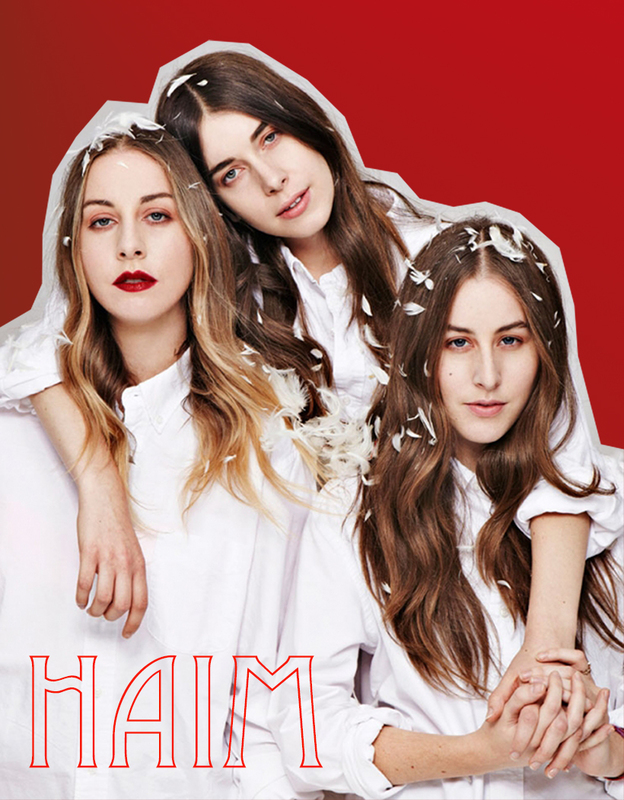 Haim is a pop rock band from California. For a few years the Haim sisters, Este, Danielle and Alana, have been rocking, not only the stages, but also the fashion world. They've been seen in the front row, in magazines -for example on the cover of V magazine, in Levi's campaign and in various events. 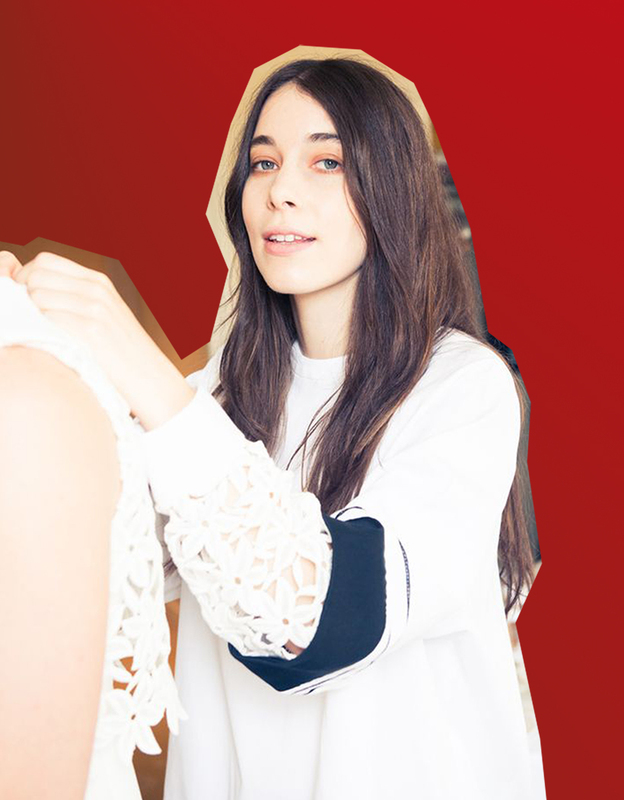 Haim sisters favors brands as Chloé, Calvin Klein, Jimmy Choo and Saint Laurent. Alana is the youngest one of the sisters. She is usually seen in shorts and a loose t-shirt. She also wears oversized outerwear, for example varsity jackets, fluffy fur/fringe jackets, denim vests and leather jackets. If she's not wearing shorts, she's probably wearing an A-line skirt. 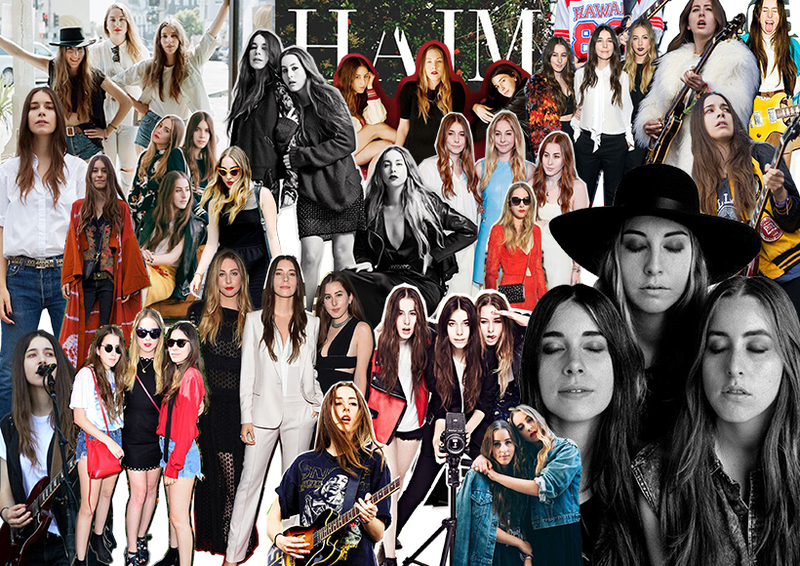 What comes to shoes, the Haim sisters usually wear some sort of ankle boots. Alana's shoes are often simple black leather chelseas, maybe with cut-outs. Danielle is the lead singer of the band. She wears almost always pants, sometimes shorts, but never skirts or dresses. With jeans or pants she wears t-shirts, blouses, leather jacket or gilet and chelsea boots. On the red carpet she wears a chic suit or neck tie blouse with pointy heels. The sisters have said that Danielle is the most fashionable one of the group. I agree, although I love all of their style. I like how her style is simple, rock and chic and she always stays true to her style, without being boring. 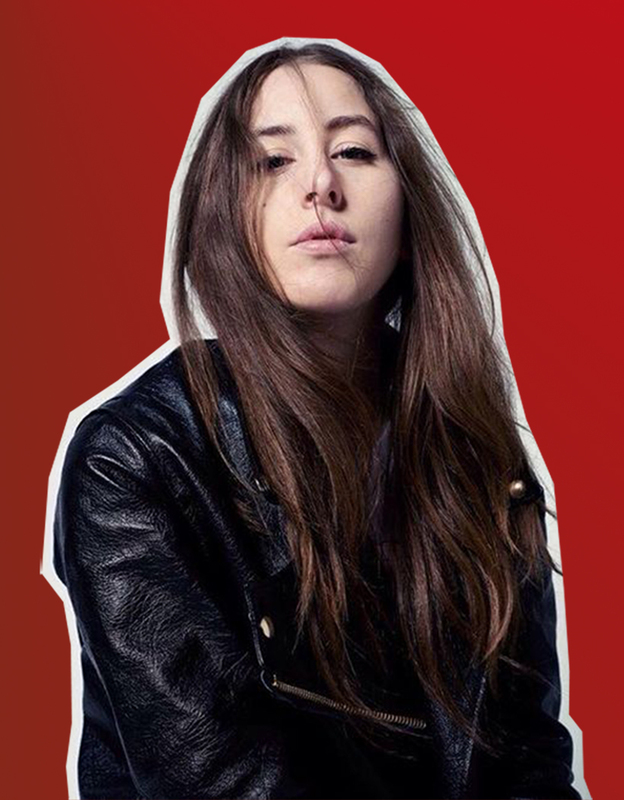 Este "the bass face" Haim, is the oldest one of the sisters. Her lips are usually red and she always wears a dress or a skirt with crop top. The dress can be lace, cutout dress, maxi dress or a simple little black dress. 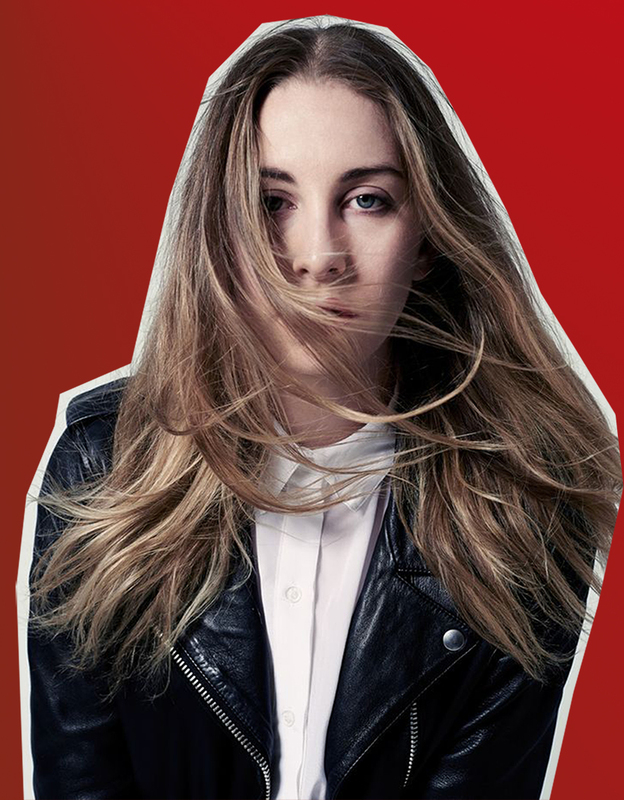 With a dress she wears chelsea boots, just like the other Haim sisters. Este is the most likely to see with accessories, for example cat-eye sunglasses or a hat.